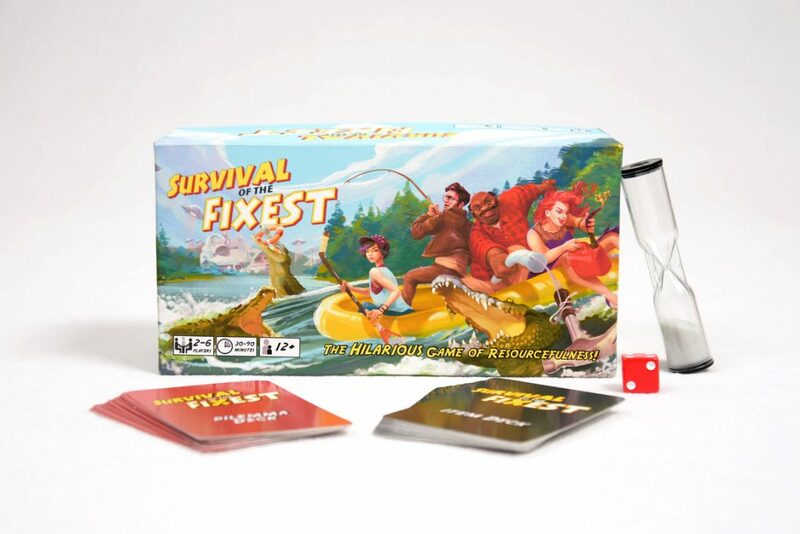 In Survival of the Fixest, you take the items that you’re given and fix them together to survive outlandish dilemmas. One minute you’re running from giant spiders and the next, you’re scrambling to impress the in-laws. It’s imaginative, it’s easy to learn, and it’ll get you laughing with friends & family! SIGN UP BELOW FOR A CHANCE TO WIN A COPY – FOR FREE! We won’t spam you, promise. We’ll just send you updates on our game. The Kickstarter is coming very soon. Please make sure to give us your best email so you don’t miss any news! Thanks for being a part of what we’re doing! We appreciate it!! !